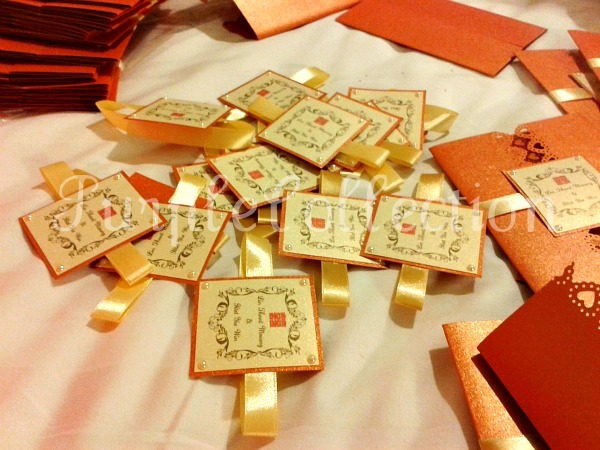 These wedding invitation cards are handmade for Htet Yie & Thant Maung from Myanmar. I met up with them during their lunch break at the Lakeside MRT station in Singapore. They are such a lovely and friendly couple. They ordered 100 pieces of wedding invites. 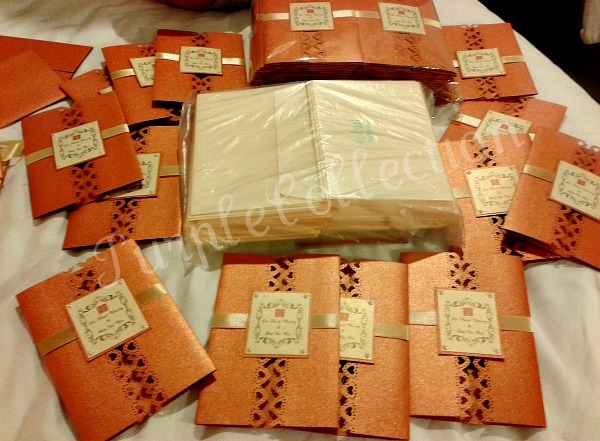 I took about a week to complete them and the most difficult part in making these cards were gluing the white pearls on the four corners of each of the small front tags! Anyway, I still enjoy hand making them!